Renowned for individually crafted custom homes, additions and renovations. Through our commitment to quality and excellence, Fox Builders has attained an exceptional reputation. A major source of our business is referrals from prior and existing clients. Business ethics and commitment to providing quality results is of the utmost importance to us. Our attention to detail is what sets us apart from our competition. Warren Construction Management was founded by Todd Warren. Born and raised in Polk County, Todd takes special pride in servicing the area since 2004. Todd’s creative and innovative ideas can help take the stress out of any project and get the results desired. His business ethics and commitment to providing quality results is of the utmost importance. Todd’s goal is to provide excellent customer service and a quality project his customers will enjoy. Todd specializes in commercial and residential projects which include new construction, build outs and remodeling. "QUALITY CONSTRUCTION WITH A WOMEN'S TOUCH" Personalization and a women’s touch for the details are a cornerstone of Susanne’s business model. Taking pleasure in the ability to listen and bring to life what you in-vision for your space. NARI Tampa Chapter- National Association of the Remodeling Industry- Board Member-Ethics Chair Call us today to get started! We are a very diverse company and provide hands on customer service with our staff there for you. 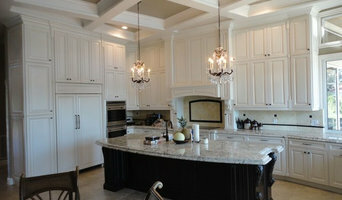 We build new construction, home remodeler's, Commercial Builds and Commercial build out's. Please look us up on Facebook, Instagram, Twitter and please review our website. Contact us directly for any further questions about us! We love all things remodeling. If you want to change an existing space and make it look professional, finished & like it was originally built that way we are who you need to call. We do not sell partial services or products, we sell solutions. 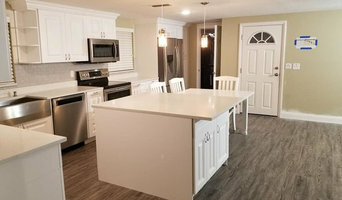 We are a general contractor that has been doing business in the Tampa Bay area for over 12 years and we have a long list of trusted subcontractors all of whom are properly licensed & insured. We follow all building codes and warranty our work for 5 years (5x the industry standard). 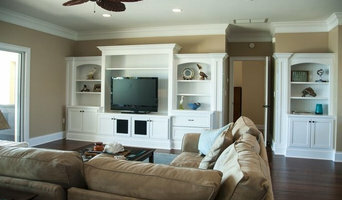 Give us a call or send us a message to see why we are the fastest growing remodeling company in the Tampa Bay area. With over 30 years of experience , Florida Gulf Coast Builders is your go to licensed builder for Home Additions, Custom Homes, Renovation, Remodeling, Decks, Outdoor Living, Roofs, and much more. We strive for quality, communication, and finishing all projects in a timely manner. DunnWright Designs delivers high quality projects on schedule and within budget. We want to be your top choice for all renovation projects which is why we’ve built a brand that promotes excellence and superior customer service. Let us bring your home and commercial renovation ideas to life, from concept to reality. You’ll be just as proud of your DunnWright Designs project as we are. If you’re going to do it…do it right the first time!